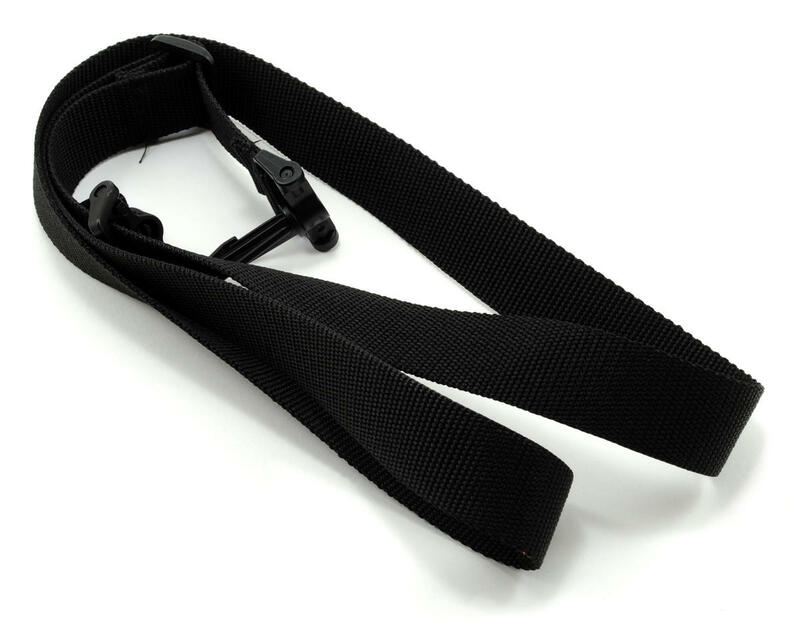 This is an optional KO Propo Transmitter Bag, and is intended for use with the KO Propo EX-1 KIY Transmitter. 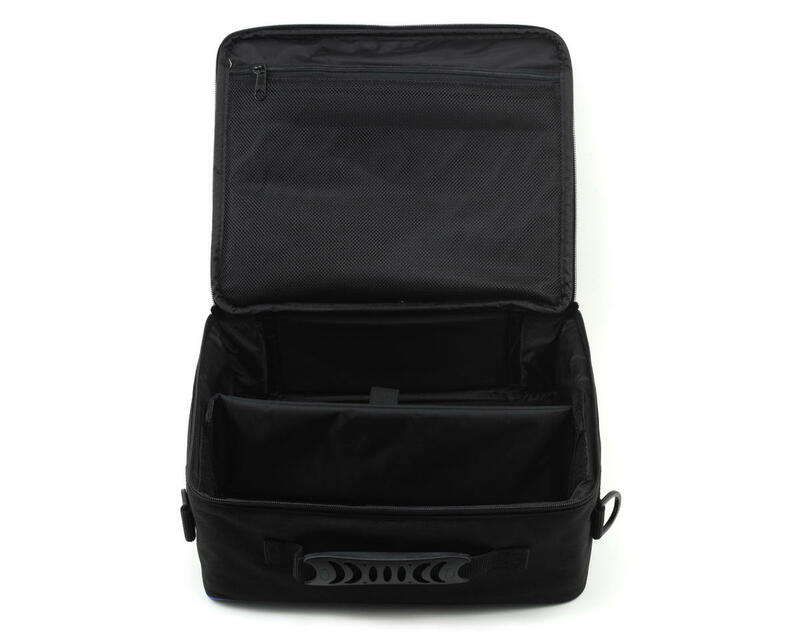 This soft zipper enclosed bag features internal dividers separating compartments for addition transmitter accessories or miscellaneous items. 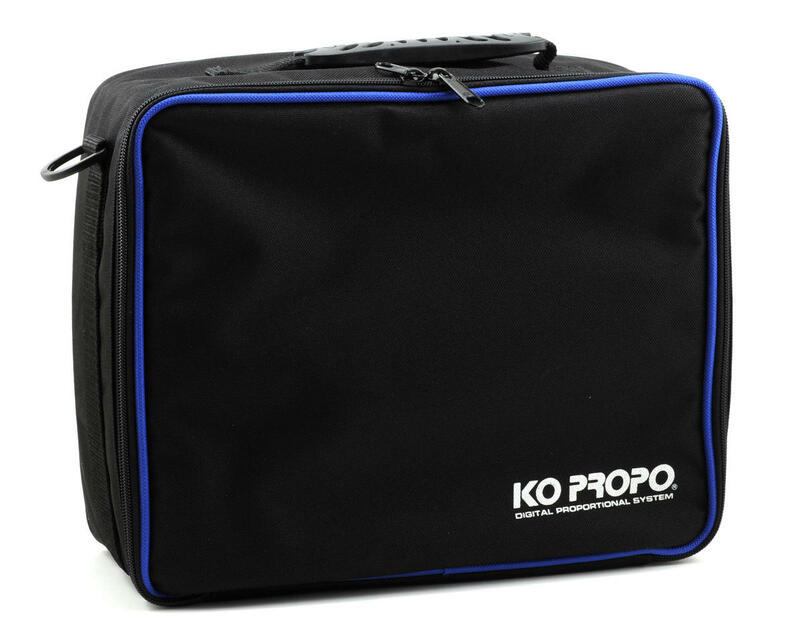 A KO Propo logo can be found in the corner on the front while a handle and included shoulder strap aid in transport.